In Tampa Florida and on the 6th of January 1982, Gilbert Jay Arenas Jr. was born to a teenage mother who did her best to raise him up in the right way but failed. At the age of two, his father, who worked at a car repair shop at the time came into the picture after receiving a call that his son was going to be taken into foster care. Gilbert Arenas Sr. decided to step in and take complete custody of his son. There is no information available about his mother but it is known that the next time he saw her was after 20 years. Gilbert Jr. grew up in Los Angeles after his father moved there to pursue a career in acting and modeling, precisely in the San Fernando Valley area. He was enrolled at the Ulysses S. Grant High School where he played basketball. The University of Arizona offered a sports’ scholarship to Arenas which he accepted; he played college basketball there from 1999 to 2001. The 27th of June 2001 was the day he decided to be part of the NBA draft and thus began his professional basketball career. As a professional basketball player, Gilbert Arenas was nicknamed Agent Zero, this was as a result of his first jersey number; the number zero was a jab at critics who said that the number of minutes he would play for the NBA will be zero (0). The Golden State Warriors picked him at the 2001 NBA draft. He started 30 games for the side and scored an average of 10.9 points for each game. The next season after his draft, he was awarded the Most Improved Player award and during the all-star weekend of the season, he was dubbed the Most Valuable Player of the Rookie-Sophmore game. When that season ended, he joined a new team, the Washington Wizards and was with them from 2003 to 2010. His contract with them was for six years at the worth of $60 million. Gilbert’s time on this team was tumultuous and fraught with an equal amount of wins and losses. While he played for the Wizards, fans took to not only calling him Agent Zero but also Hibachi, a name that means “a bowl of fire” – it was a nod to his fiery method of play. Trouble came knocking in December 2009 when it came to the public’s notice that Arenas had guns in his locker, this resulted in an investigation and a one-year suspension for the remainder of the 2009/2010 season; the suspension was also fueled by ill behavior on his part. When he returned for the sixth season with the Washington Wizards, he changed his number from 0 to 9 in an attempt to rid himself of his past and present himself as a better person. Following the end of his deal with the Wizards, he played for the Orlando Magic for a season, the Memphis Grizzlies for another season before joining the Shanghai Sharks of the Chinese Basketball Association. Gilbert Arenas currently works in broadcasting. Sports stars are one of the most highly paid people in the world, it was once reported that Arenas earned $22 million as his salary which is why he is able to afford the fancy lifestyle he lives. His net worth is believed to be higher than $40 million. 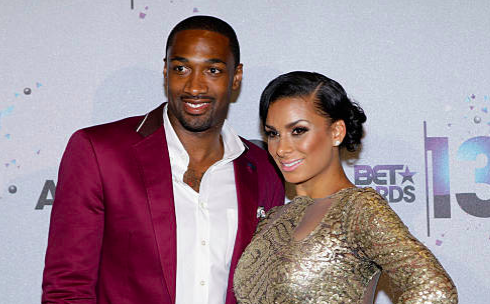 Gilbert Arenas has never been married. Between the years of 2002 to 2014, he dated Laura Govan. She was a staff of the Sacramento Kings who worked in their public relations department. Their relationship, just like his career, was tumultuous and stormy; they always broke up but managed to come back together all the time. The two have four kids together; Alijah, Izela, Aloni, and Hamiley. She is the only woman he has been linked with. Arenas has two cousins in sports as well, Javier Arenas and Armando Murillo. Javier is a footballer who has played with the Buffalo Bills and the other plays Canadian football.